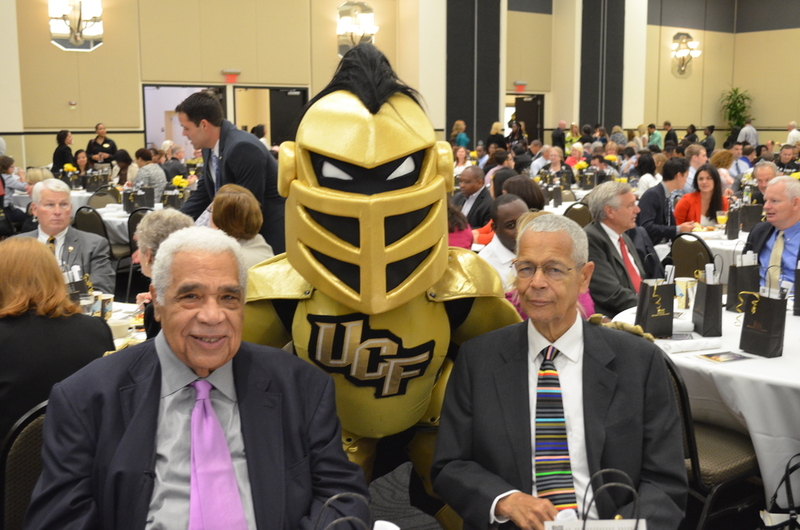 1UCF President John C. Hitt welcomes civil-rights activist and keynote speaker Julian Bond to the event organized by the university’s Office of Diversity and Inclusion. 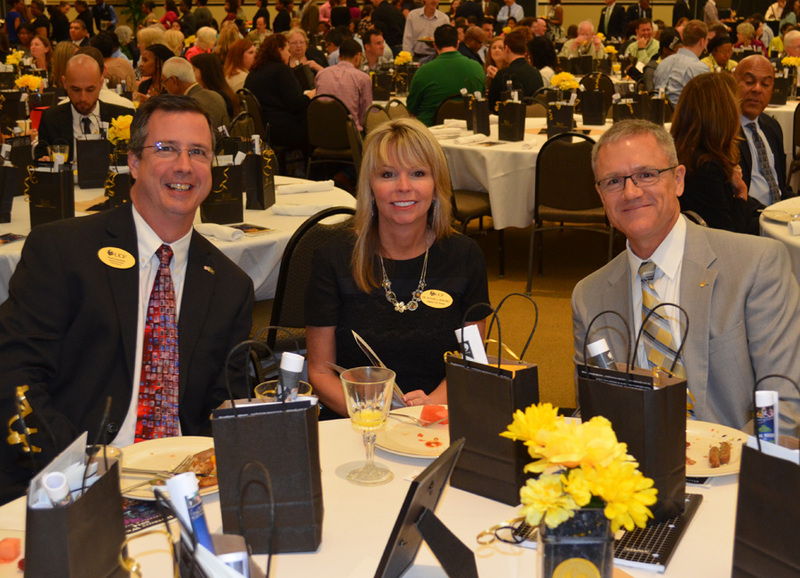 3Paul Lartonoix, assistant vice provost for special projects; Ronnie Korosec, associate provost and special assistant to the provost for strategic initiatives; and Dale Whittaker, provost and vice president for Academic Affairs. 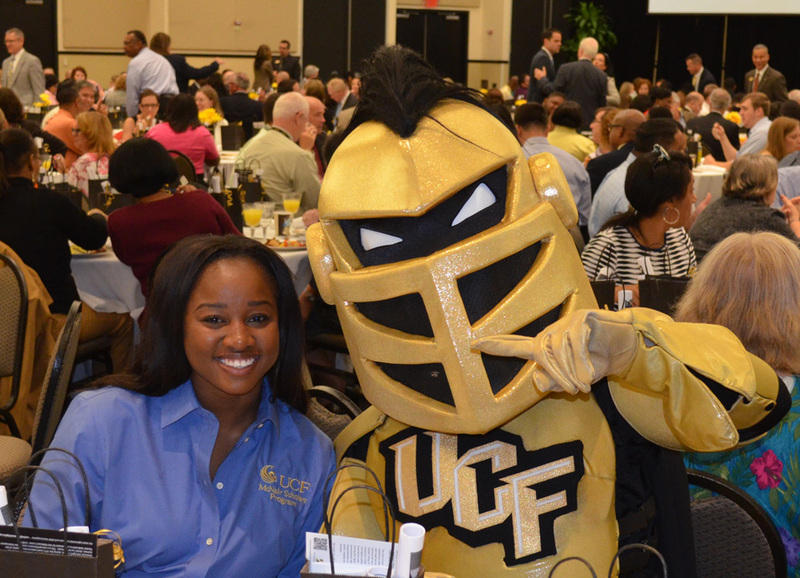 4Ebone Grayson, student designer of the winning poster for UCF Diversity Week, with Knightro. 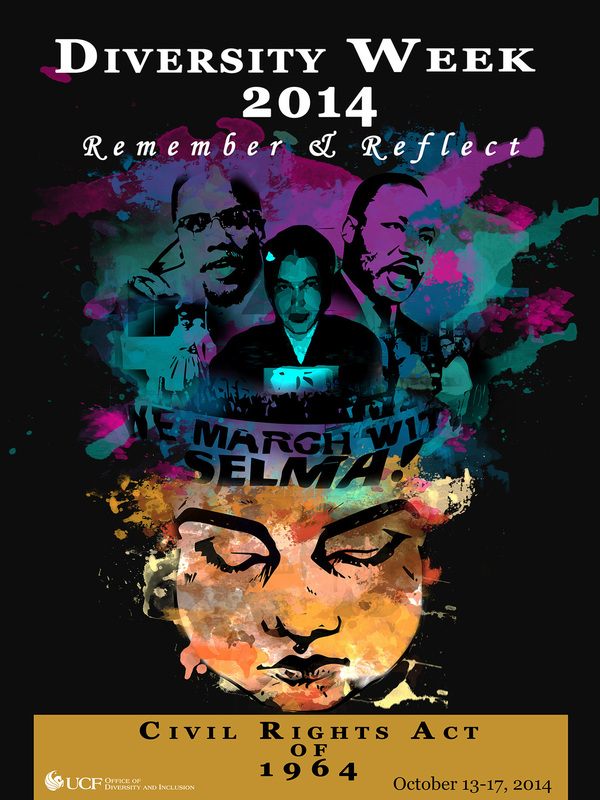 5The 2014 Diversity Week poster designed by student Ebone Grayson. 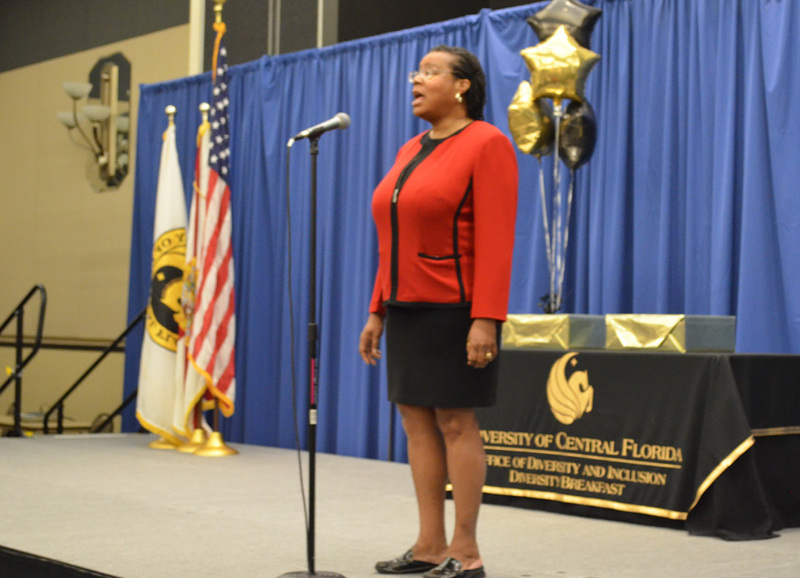 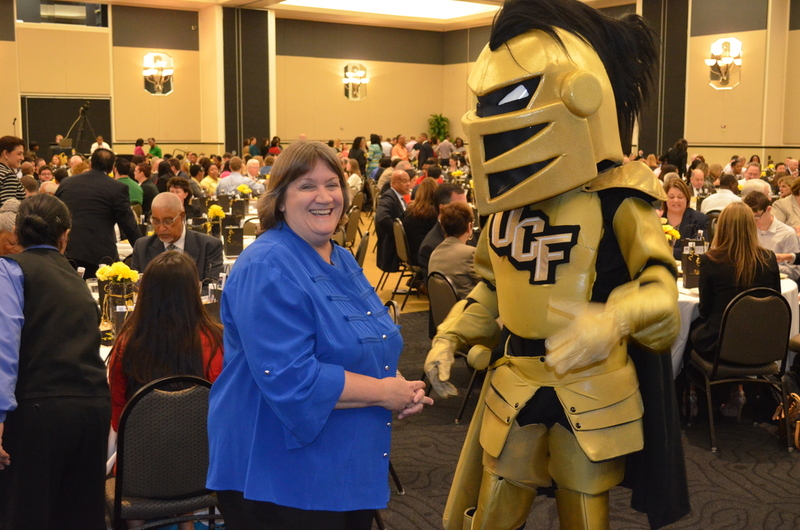 6Barbara Thompson, interim director of the UCF Office of Diversity and Inclusion, with Knightro in the Student Union’s sold-out Pegasus Ballroom. 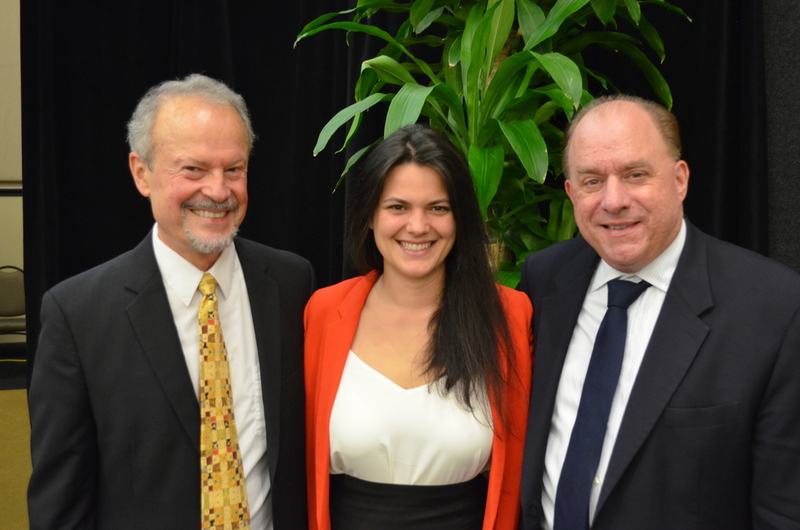 7Richard Lapchick, chair of UCF’s DeVos Sport Business Management program and director of the Institute for Diversity and Ethics in Sport; Emily Pasnak-Lapchick, End Trafficking Program officer at U.S. Fund for UNICEF; and John Bersia, special assistant to the president for Global Perspectives. 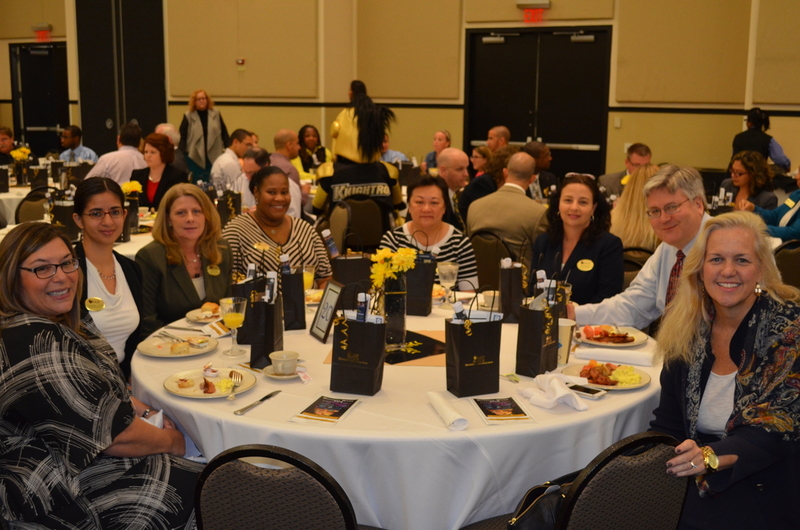 8Participating from UCF Human Resources are Becky Moulton, Isha Guerrero-Londeree, Sarah Lovel, Millicent Downer, Patsy Popelas, Michelle Brooks, Ben Anderson and Beth Scheitzach. 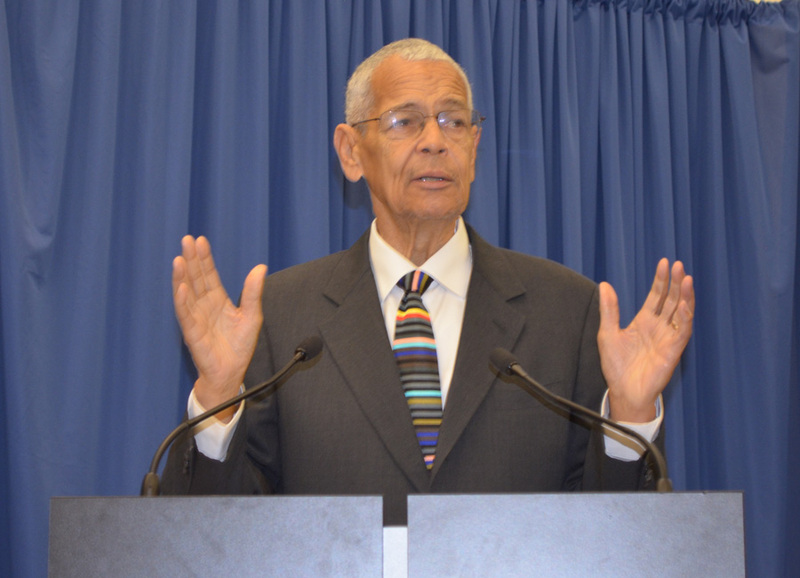 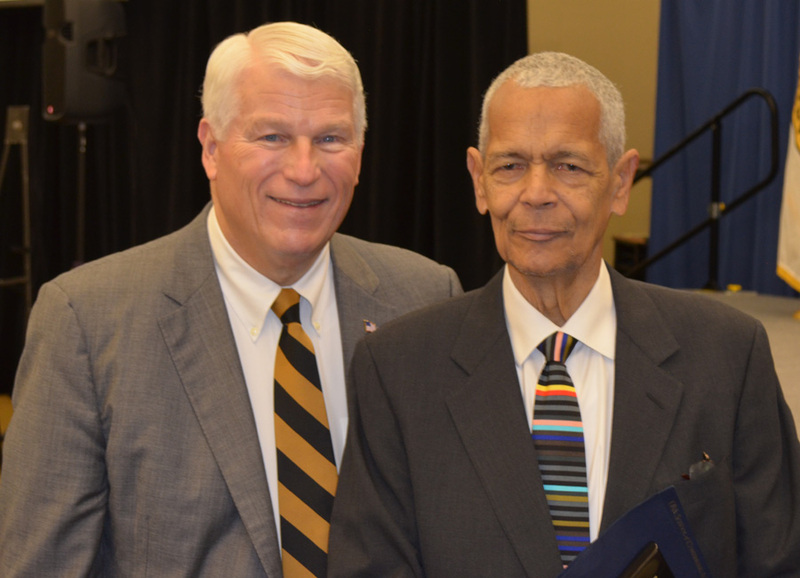 9Former NBA player and general manager Wayne Embry, Knightro, and Julian Bond.